Since a few of you asked me to share What I Ate Wednesday posts more often, I'm back to photographing almost everything I eat. Sometimes people think I'm strange. But it's kind of fun anyway. While it might seem slightly obnoxious to photograph your food each day, I hope that people will look at what I eat and take away some ideas for healthy, tasty, simple meals. I'd like more people to know that eating vegan is really quite easy, whether you do it every day or a couple of times a week. In my opinion, you don't give up anything by being vegetarian or vegan. On the contrary, you add lots of possibilities to your life - possibilities for healthy and delicious plant-based meals that are kind to your body and to our animal friends. Before I share a "what I ate" for one full day, here are a couple of random meals and snacks I enjoyed this past week. 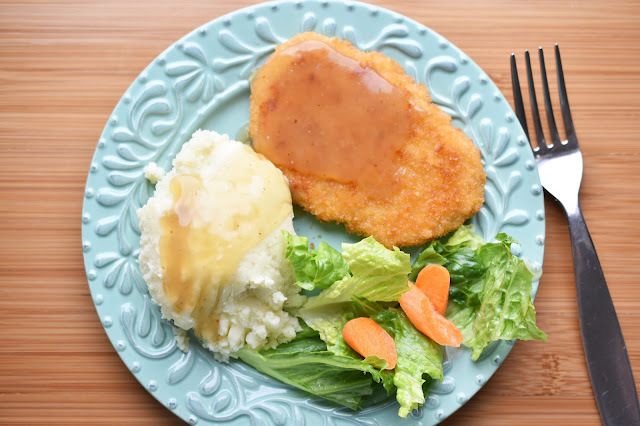 Above, a President's Choice (made by Gardein) cutlet with mashed potatoes, homemade vegan gravy and salad. I have no clue why, but I was suddenly craving mashed potatoes on a really warm day. The kids always love them too, so it just worked out. Hot day, cold day or any day in between, I always crave a cookie. I'm not gonna lie, I usually put sugar in my homemade cookies. (I'm not ashamed.) But it doesn't hurt to try out a healthier cookie now and then. 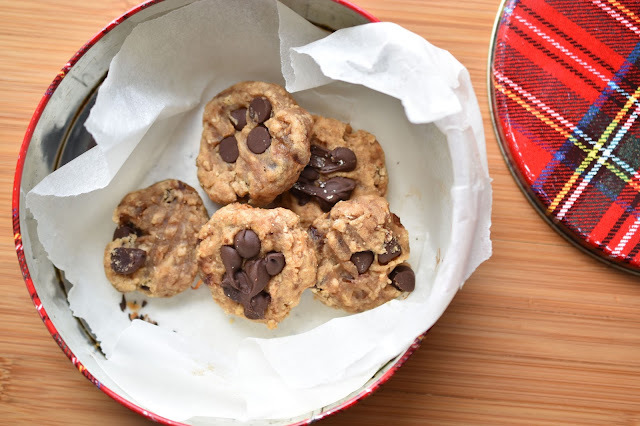 One day I made the grain-free peanut butter cookies from Healthy Happy Life. They are naturally sweetened using only Medjool Dates. Unless you pile chocolate chips on top of course. Which I had to do. My cookies were actually not free of grains because I didn't happen to have any coconut flour, so I used light spelt flour, which is my everyday baking flour of choice. These vegan peanut butter cookies were satisfying nevertheless, although I must confess I thought I might add a touch of coconut sugar the next time. Naughty me. 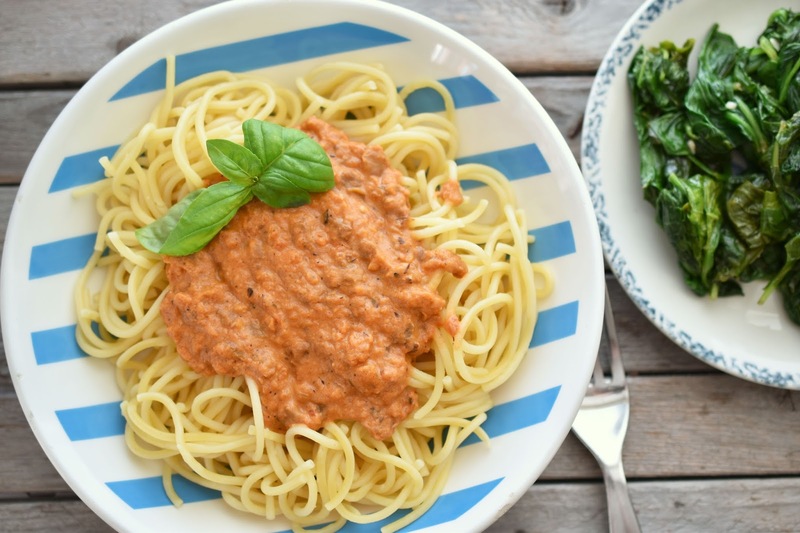 With an Italian husband, we often fall back on pasta with homemade tomato sauce as a simple dinner meal. 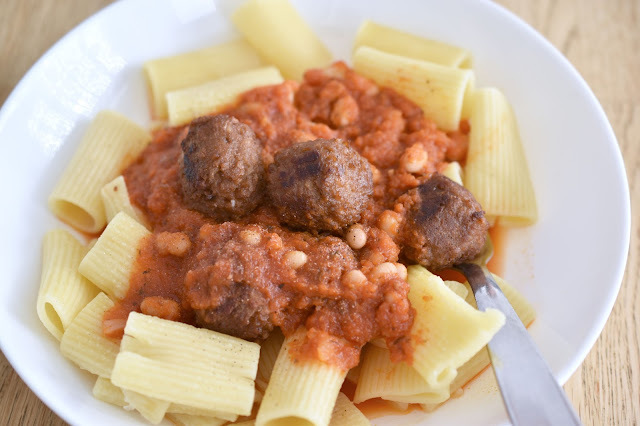 My husband made a sauce with navy beans this week and I also requested that we add Yves vegan "meatballs." 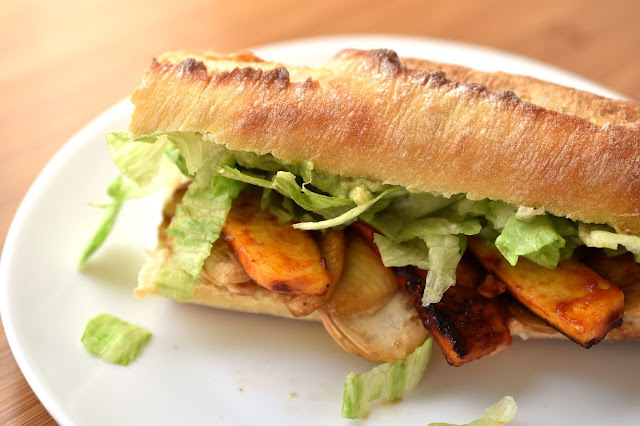 Another meal my husband made - sandwiches filled with sliced extra-firm tofu cooked in barbecue sauce, homemade guacamole, sauteed mushrooms, lettuce and a sauce made with sriracha, chipotle sauce and vegan mayonnaise. Now for that whole day of foods that I promised. I started off with a smoothie made of coconut yogurt, chia seeds, blueberries, banana, frozen strawberries and cherries, Vega vanilla protein powder, soy milk and orange juice. 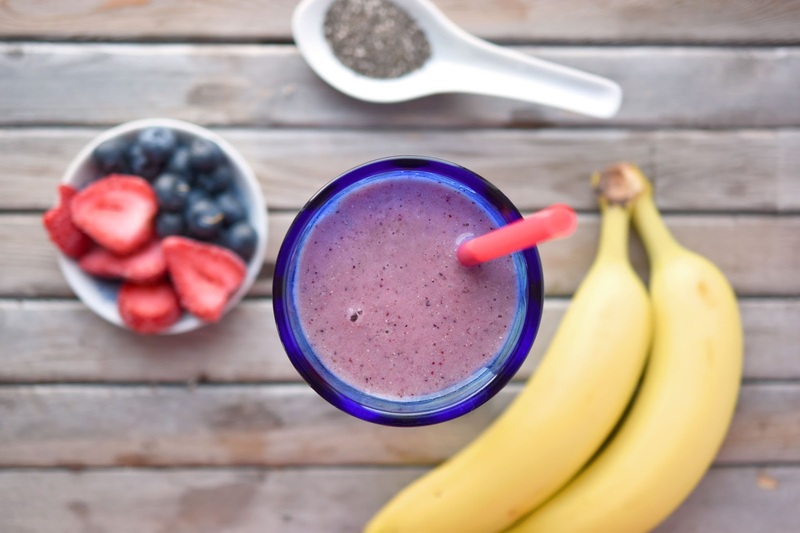 I often make smoothies for me and the kids in the morning. My daughter tucks it in her backpack before she gets on the school bus! 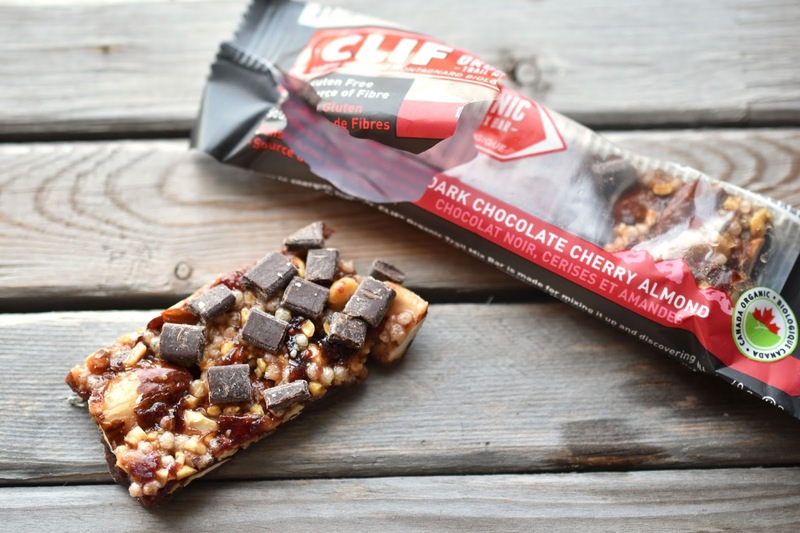 I was heading out to an appointment in the morning and I knew I'd be hungry before lunch, so I ate a filling and delicious Clif dark chocolate cherry almond trail mix bar before leaving home. I realized that I had been too lazy to add a salad or some other greens to my lunch, so I opted to have a fruit-filled snack instead. Not quite the same I know. 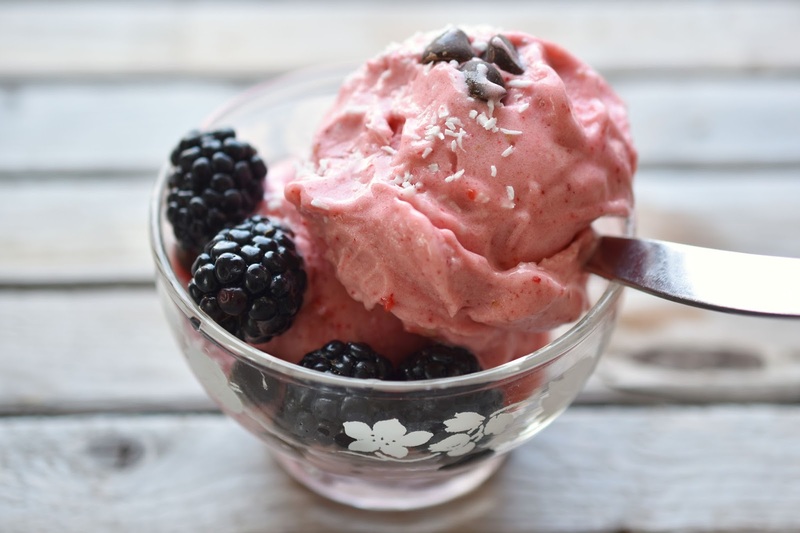 I put sliced frozen strawberries and bananas into the food processor with a tiny bit of soy milk to make it creamy and voila, delicious "nice" cream. I put coconut, blackberries and a few chocolate chips on top. It was soooo good! I hadn't planned ahead for dinner, so my thoughts immediately turned to one of our favourite easy meals - the Lentil-a-Roni from Isa Does It: Amazingly Easy, Wildly Delicious Vegan Recipes for Every Day of the Week . The recipe is super quick and simple if you have canned lentils. (I didn't.) It takes about half an hour longer if you need to boil lentils first, but you can do other things while they are cooking. Ideally you should soak cashews ahead of time for the "creamy" sauce too, but I boiled the cashews for 10 minutes instead. 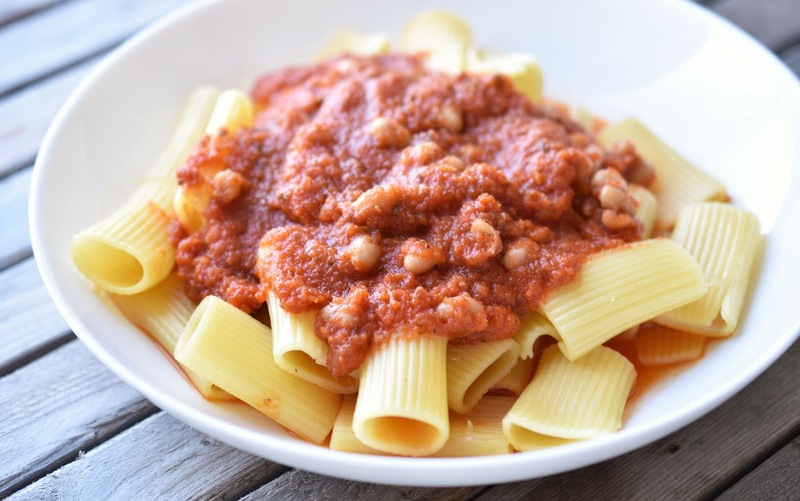 It's basically a "pink" sauce that's filled with lentils. I also sauteed minced garlic in olive oil and added a mix of kale and baby spinach. Once the greens were cooked, I added salt and pepper. That's it. Easy peasy. I find it interesting to see a full day of meals in pictures, because you kind of see what you're lacking...like perhaps more veggies. My weakness (besides sugar) is being too lazy to prepare greens. Linking up to WIAW at The Big Man's World. Sometimes I have two salads a day, sometimes I have two plates of pasta! Such is life. 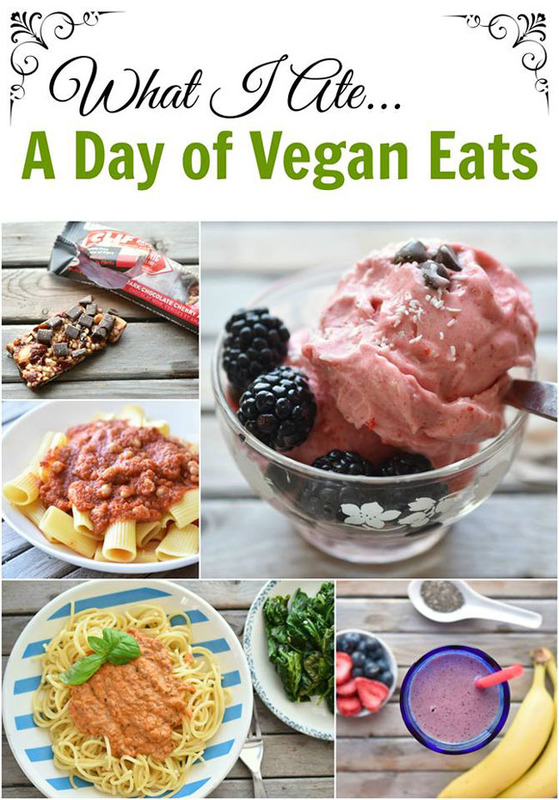 I'm so glad you write these posts again, I really enjoy reading and seeing what other vegans eat! I'm so happy you like the posts! Thank you!